Some of the world's wealthiest cruise ship passengers are heading to New Zealand as luxury travel booms and ships go further off the beaten track. The surge in visits over the next two summers reflects the growing number of wealthy travellers who are focusing less on material possessions, and instead seeking experiences and memories. These ships can have personal butlers and an almost one-to-one ratio of crew to passengers. Some have a ban on children and all promote the opportunity to have authentic local experiences in ports, as well as being heavy on wellbeing, with extensive exercise and spa facilities - but plenty of champagne and caviar as well. The number of high net worth individuals has surged and the head of one cruise line expanding here says baby boomers are a big part of the growth in the ultra-high end of the market. ''The baby boomers are still our core demographic and they're expanding in number and in wealth. Luxury is more about experience and less about buying things,'' says Silversea's senior vice president and managing director for Australasia, Adam Armstrong. He says it's part of the "deconstruction" of luxury. Silversea ships are toned down, without the big art pieces or family attractions that feature on other ships. ''It's not about extravagance and opulence,'' he says. And the luxury market isn't just limited to the boomers - those born in the period from 1946 to 1964. New Zealand in particular delivers this in spades with our unique culture, stunning scenery, friendly locals and good infrastructure. His company has found a growing number of young travellers are putting off big purchases such as property, to spend as much as several thousand dollars a day being taken to some of the world's most remote, pristine areas, but with luxuries including suites with personal butlers. This growth comes as a report has found the total wealth of high net worth individuals has passed $105 trillion for the first time. Last year, the wealth of high net worth individuals grew by 10.6 per cent, the second-fastest year of growth since 2011. High net worth individuals are defined as those having investable assets of US$1 million ($1.5m) or more, excluding their primary residence, collectibles, consumables and consumer durables. Armstrong, who has been in the cruise industry for 20 years, says five years ago there were just one or two luxury small ship cruise companies with operations or itineraries in New Zealand. Expedition-style ships carry as few as 100 passengers, and there are typically no more than 800 on the traditional vessels. Now there are more than half a dozen such cruise companies here, as well as the high-end big ships such as the Queen Mary 2 also coming to New Zealand. It's a rising tide that is lifting all boats, says Armstrong. ''It's a lot more crowded than it used to be, but what I will say is with all those offices opening, there's more investment in marketing and it's good for the category overall." Regent Seven Seas Cruises has just set up an Auckland office and will bring an all-suite pioneer, the Seven Seas Mariner, to New Zealand this summer as part of a world cruise. The ship has undergone a $125m rebuild and prices start at $46,000 for the 66-day voyage. Its vice president of sales, Australia & New Zealand, Lisa Pile, says those aboard its growing fleet of ultra-luxury ships don't want too much pomp and ceremony. Jacqueline Unsworth, the cruise marketing manager at Helloworld, says luxury brands are always searching the world for new and immersive experiences. ''New Zealand in particular delivers this in spades with our unique culture, stunning scenery, friendly locals and good infrastructure. We tick all the boxes for these brands on many levels,'' she says. Armstrong says this is important. While many guests on his ships may be wealthy, they'd rather not have to dip into their pockets while on board. While Unsworth doesn't believe there's any one reason for the luxury boom, like Armstrong she says the meaning of luxury and what it means to an individual has changed. She identifies luxury cruisers in the following categories. • New to cruise – wealthy baby boomers are discovering that luxury cruising suits their lifestyle and their friends are all doing it too. • Many are driven by the destination – for example, Antarctica. They want to see the great continent but they don't want to do it on a Russian trawler. They want to see it in comfort. Luxury expedition cruising is experiencing tremendous growth. • Younger people, earning top money - they are all about the experience ... the house can wait. • Celebrations – turning 50/60/70, and anniversaries. "We have a lot of people going away on luxury brands to celebrate a significant birthday ... often all their friends go with them." Unsworth says luxury cruise lines have partnered with luxury brands to create bespoke experiences both aboard and on land, and this is attracting a whole new customer base to cruising. This could include F1 Grand Prix cruises, or cruises associated with famous golf courses. The cruise companies have re-invented themselves to become more relevant to the luxury end of the market, with features such as large suites with verandas, personal butlers, open bar, no set dining schedules, relaxed dress code, gratuities all included, sightseeing all included, top class speakers and lecturers onboard, international spa brands, overnight and longer stays in port, and visits to ports that are off the beaten track. There are now world-famous restaurants at sea, she says: Relais & Chateaux for Silversea, Thomas Keller for Seabourn and celebrity chefs like Nobu Matsuhisa with restaurants aboard Crystal Cruises. The wider cruise market is also booming, with mass market ships the most popular among the nearly 100,000 New Zealanders who took a cruise last year. In the year ended June 30, cruise ship spending surged by more than 18 per cent to $434m, says Statistics NZ. Unsworth says cruise ships are like migrating birds – they need somewhere to spend the northern winter and New Zealand, Australia and the South Pacific are ideal places to visit. Royal Caribbean has just bought a 66.7 per cent stake in Silversea to add to its cruise brands: Royal Caribbean International, Celebrity Cruises and Azamara Club Cruises. While its Quantum class ships that visit New Zealand are among the biggest in the world, with more than 5000 passengers, its Azamara ships cater to the growing demand for luxury, smaller ships. The clientele is self-made - not big on baubles. It's more relaxed and elegant. Vice president and managing director, Australia, New Zealand, Susan Bonner, says it is adding more megaships, but also recently introduced a third vessel to its Azamara fleet. "We're seeing a shift away from retail-type purchase to more of an experiential purchase - that's part of a global trend,'' she says. While all ends of the cruise market rely on a buoyant global economy, the luxury market has so far been relatively insulated when things slump. Armstrong says he's seen two demand shocks in the cruise industry, the first after the September 11, 2001 terror attacks and the other following the sinking of the Costa Concordia off Italy. He says that if the economy sours, customers tend to book later and are more hesitant, but the market doesn't collapse. 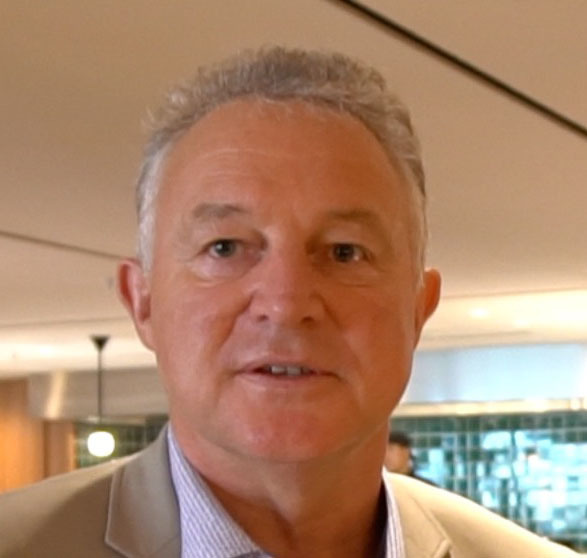 The chief executive of the New Zealand Cruise Association, Kevin O'Sullivan, says all ships are welcome, but passengers on the smaller luxury ships spend more per person when they're ashore, compared with those on the bigger ships. That fits in well with the country's aim of attracting more higher value spenders, rather than larger volumes of tourists. ''They also go into more regions that the bigger ships don't go into,'' O'Sullivan says.